More network outages. All day today again! AT&T is sending someone out tomorrow to check the lines. Weird that around 9:30 the network came back. 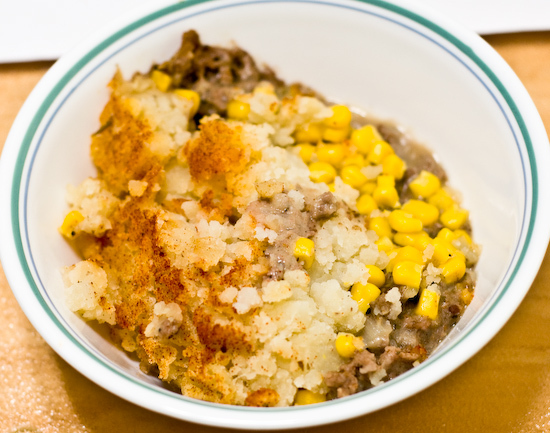 Lunch was the last of the left over Shepherd's Pie. For dinner, Tina suggested sushi, so we went to our favorite sushi place (the sushi is consistently good - although I wouldn't say the best ever - and it's a small friendly place where we know some of the regulars as well as the owner, Scott Kim) - Truya Sushi (3431 El Camino Real, Santa Clara, CA‎ - (408) 244-4534‎). Scott had made a few changes to the menu since the last time we visited, so we decided to try some of his new creations (he said he had started dreaming of new food now that he doesn't dream about golf anymore; for the 6 or 7 years we've known him, he's always talked about playing golf or out playing golf). 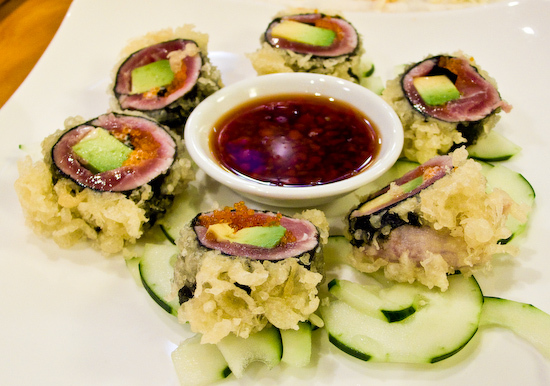 "Monkey Brain" - spicy tuna, crab on half avocado tempura. This was my favorite of the new dishes. 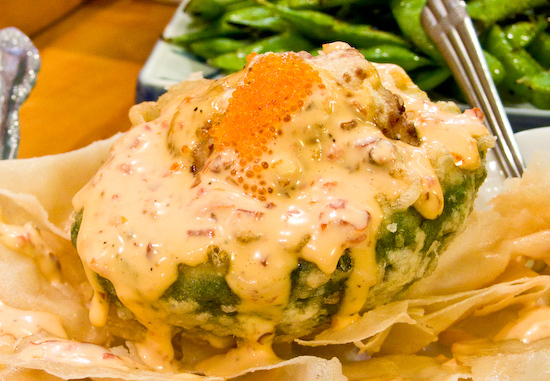 The avocado is tempura battered and lightly fried so the creamy flesh of the avocado is very warm and it melts in your mouth with the crab filling and the cooked spicy tuna on top. Grilled Edamame. I believe the edamame were seasoned with olive oil, garlic, and salt. 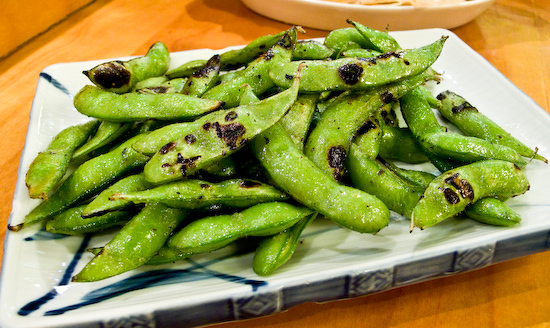 I great way to cook them - definitely more flavorful than the boiled or steamed edamame. Sake Nigiri. Although we were getting full, I didn't want to leave with out having some nigiri. 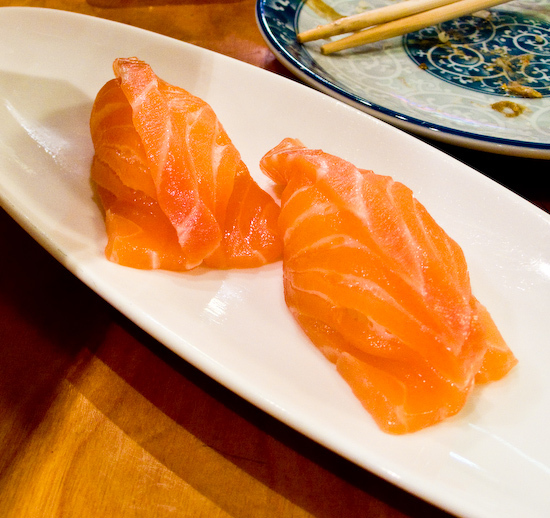 As usual, the salmon at Truya was like butter. Wow. The Monkey Brain and Grilled Edamame look particularly good. It would be great to see more creative types of rolls. Well, Scott says he's coming up with new stuff all the time (and it's too bad we're moving in 6 weeks) but we promised him we'd be back before we leave. I'll make sure I try any new dishes he's got on the menu (or possibly off the menu) next time I'm there. Haha, sorry, I didn't mean specifically from you. I was speaking generally, about sushi places. 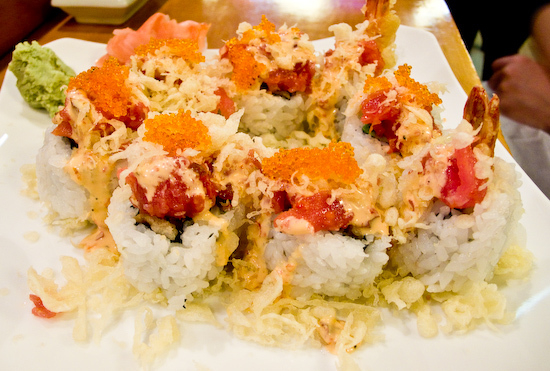 I was worried that the "special roll" idea was nearing the end of its course, seeing the same types of rolls from different sushi locales. "Speciality" rolls lose their luster if you see it everywhere. It's great to see it still evolving in certain restaurants.